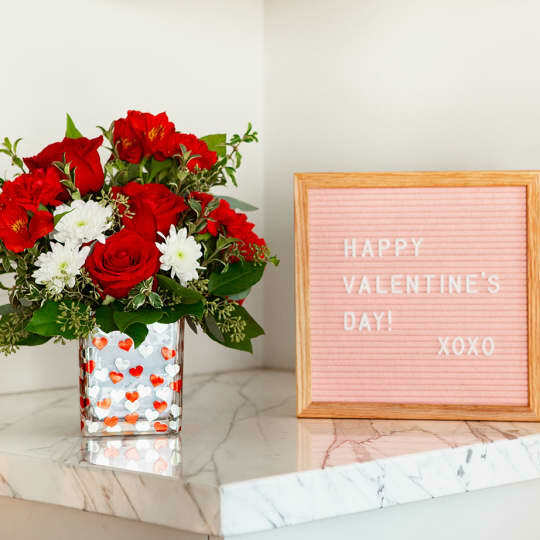 Flowers and Valentine’s Day go hand in hand, and Teleflora has some absolutely beautiful bouquets to give to your loved one this year. With floral arrangements to fit any budget you will find something perfect. This stunning bouquet features pink oriental lilies, hot pink roses, pink carnations, fuchsia stock, light pink spray roses, pink heather, lemon leaf, huckleberry, seeded eucalyptus, and a small green potted echeveria succulent. Teleflora sent me the Sterling Love Bouquet to enjoy for Valentine’s Day. The fresh flowers immediately filled my home with the lovely fragrance of lilies, roses, and lemon leaf. The silver swirl vase is tall and modern. It looks almost like mercury glass. The arrangement was well made and has an all-around view so it looks beautiful from any angle. We are proud to offer beautiful flowers that are always hand-arranged and hand-delivered by local florists. We never pack our bouquets in a box: that’s the Teleflora difference! Plus we make it easy to send flowers. You can order online from your desktop, tablet, or phone. 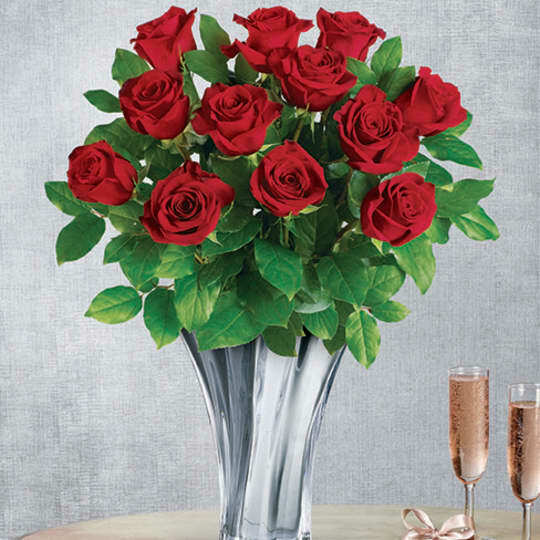 If you need to get a gift last-minute, we have same-day flower delivery available on most flower arrangements. 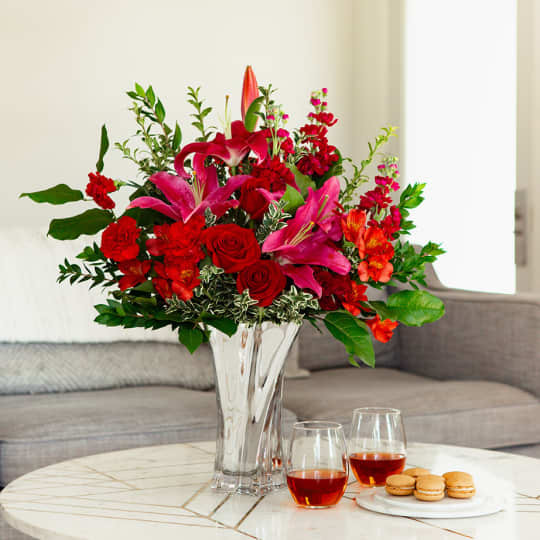 Just place your order before 3:00 PM, Monday – Friday, or by 12:00 PM on Saturday or Sunday (in your recipient’s time zone) and we’ll deliver the flowers the very same day! If you don’t know what to get, here are some of the best flowers to buy for any occasion. 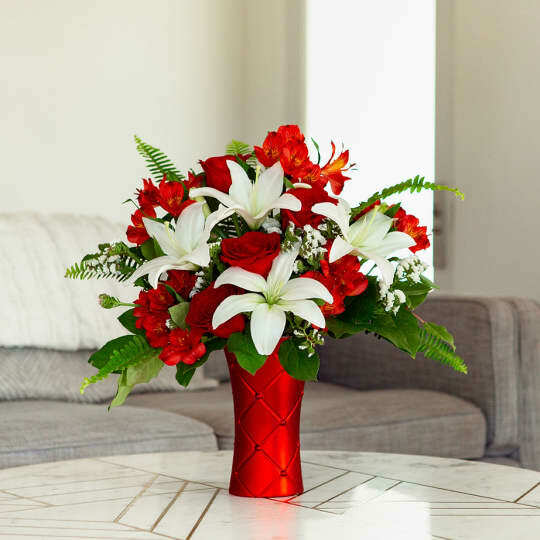 With Teleflora, you can buy cheerful birthday blooms, thoughtful Mother’s Day bouquets, funeral and sympathy flower arrangements, and your everyday beautiful florals. 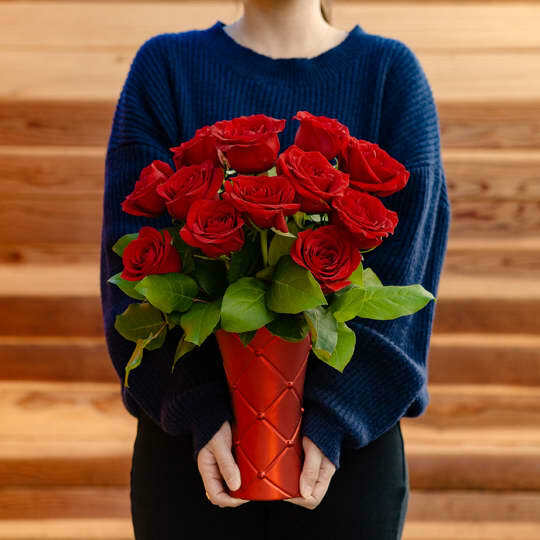 With a huge variety of floral arrangements, we’re sure you’ll be able to find the right gift for everyone on your list. 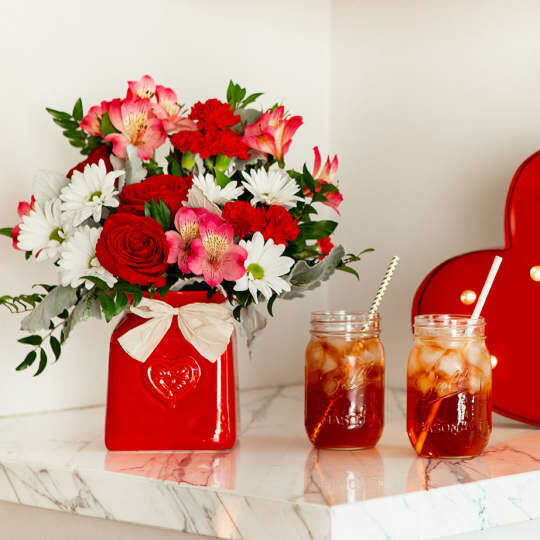 Be sure to see what Teleflora has to offer, not only for Valentine’s Day but any occasion.